Every January 16th, Americans of all faiths and no faiths celebrate Religious Freedom Day. Unfortunately, Christian supremacists are trying to subvert the meaning of religious freedom, claiming that it only applies to them. Take back Religious Freedom Day! 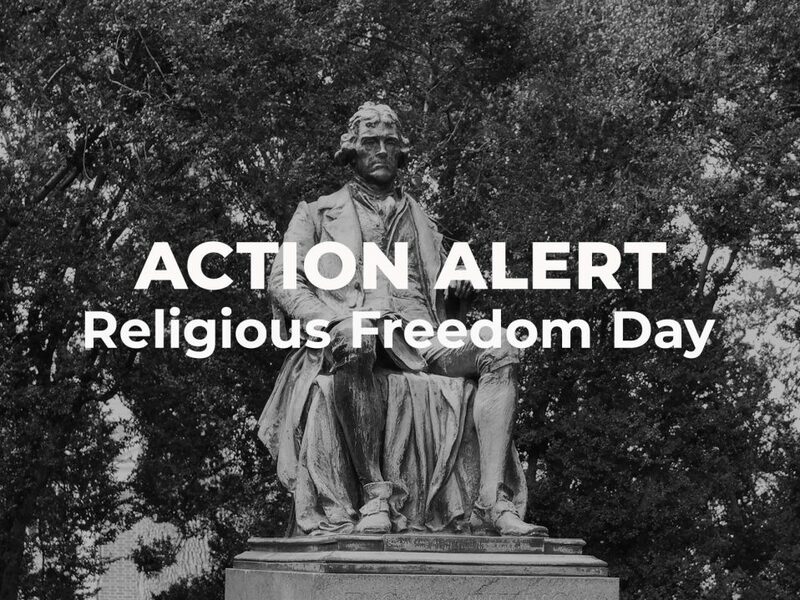 Tell your congressperson and senators that religious freedom applies to everyone, including the nonreligious. When Thomas Jefferson penned the Virginia Statute for Religious Freedom, whose enactment we celebrate today, his intentions were clear. He didn’t intend to establish special rights for one particular religion, but instead, he intended to guarantee all Americans religious equality! The Framers understood this, establishing religious freedom and equality as a fundamental human right and a cornerstone of our democracy. This Religious Freedom Day, take a stand for religious freedom for everyone. Tell your representatives that religious freedom means religious equality! In this era when religious freedom and equality are under assault every day by Christian supremacists, it is all the more important that we stand up for everyone’s religious freedom and the constitutional separation of religion and government that makes it possible. Protect our history of religious freedom and equality. Contact your representatives today! P.S. – Tweet about Religious Freedom Day with the hashtag #ReligiousFreedomIs. And encourage your state and municipalities to pass resolutions honoring Religious Freedom Day as one way to oppose the falsehoods perpetuated by the religious zealots of Project Blitz. For more information, please visit the BlitzWatch website.